The Silk Road is described as an ancient route between China and the Mediterranean Sea which linked the source of silk to the Roman Empire. Marco Polo took advantage of the‚’Pax Mongolica’ in the 13th century. The Dominance of the Mongols in Asia maintained a certain level of peace which made Polo’s journey possible. The travels of Marco Polo had such an impact on history that we are still talking about it today (over 4 million keyword searches on Google). What made this trip so famous were the treasures that Marco Polo claimed he had seen in Cathay (this was the name used by the Europeans for China during the Middle Ages). Amongst these treasures, there was one product that was worth its weight in gold. 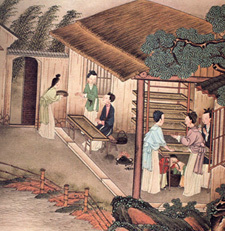 The production of silk has been mastered by the Chinese since at least 2500BC. The secret was jealously guarded for 2000 years. This amazing secret was called Bombyx Mori, a worm that spins a silk cocoon for its metamorphosis into a moth. This cocoon is made of a continuous filament of one or two deniers for a length up to 1000 m. Between five and eight of these filaments are twisted together to make one thread. At the beginning, only the emperor was allowed to wear or own silk products, with time, silk was permitted for those who could afford it. To preserve the continuity of the yarn it is imperative to prevent the moth from exiting. The production therefore includes a stage where the insect is killed before it perforates the cocoon. Some are allowed to bloom and are destined for reproduction. Three or four days after leaving the cocoon, it will mate, lay 500 eggs or more and die four days later. Around 200BC, the secret is no more as silk started to travel officially west to Babylon. The production of silk named ‘Sericulture’ reached Korea around 200 BC with waves of Chinese immigrants. There are indications however that the Romans and the Greeks were made aware of the wonders of silk hundreds of years before. Silk has always been considered a product of extreme luxury. It takes up to 2,500 to 3,000 cocoons to produce one yard of silk. One can imagine the work required to delicately unwind the 2500 to 3000 cocoons to produce one yard of silk fabric. Throughout history, only the most skilled weavers were allowed to work with this precious yarn. 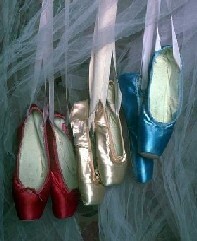 Note how the words skill and silk are similar. A few interesting facts: one ounce of eggs is the equivalent of 30,000 worms which eat a ton of mulberry leaves and produce twelve pounds of raw silk. The mulberry tree is the exclusive diet of the Bombyx Muri. The wild silk worm will however eat oak tree leaves. Amongst the natural fibers, silk is the best substitute for skin. Note how the two words are similar. Silk offers a very smooth touch, free of abrasive and fibrous contaminants in addition to transporting water vapour most efficiently. Many studies in the British Journal of Dermatology recommend using silk in wound dressing after removal of certain free proteins that can migrate in the skin. Silk behaves with water very similarly to human skin, at least at the endoderm level (the third layer). A silk hospital jacket will help premature babies feel more comfortable and secure because of the sensation of an additional skin. Those of you who may have the chance to wear a silk pyjama might have noticed how the fabric keeps cool in warm temperatures and warm in colder temperatures. That is the beauty of good moisture management. Allowing evaporation of water from the skin, referred to as sudation, provides a sensation of coolness. When the skin remains dry due to cooler temperatures, the insulative nature of the silk yarn takes over and provides the protection from cold expected from any tightly woven garments. Another advantage of silk is its porous nature and the ease with which it can be dyed. Works of art in printing are transferred onto a silk fabric transforming them into tapestries or wearable paintings. Scientists have synthesized silk, but artificial silk is limited to applications where cost is no object. Today silk remains a luxury product. Very thin silk fabric is fairly common as a liner in fancy dress or suit, but the fabric quality is fragile and is not recommended as a stand alone outer shell. Silk definitely ranks amongst the most comfortable fabric ever made by man. Its quality as a next to skin material makes it ideal for underwear which is, incidentally, a prosperous market. It is however preferable to wear silk underwear for special occasions since numerous laundering will contribute to the rapid degradation of the fibre. The Romance of Silk , The Textile Institute, Vol 21 no 4, 1991. The Book of Silk, Philippa Scott, ed Thames & Hudson Ltd, 1993.